The computer program MODPATH was developed by the USGS (Pollock, 1998) to calculate three-dimensional particle tracking pathlines from steady-state and transient flow simulation output obtained using MODFLOW-2000, MODFLOW-2005, MODFLOW-NWT, MODFLOW-SURFACT, and SEAWAT. MODPATH uses a semi-analytical particle-tracking scheme. The method is based on the assumption that each directional velocity component varies linearly within a grid cell in its own co-ordinate direction. This assumption allows an analytical expression to be obtained describing the flow path within a grid cell. Given the initial position of a particle anywhere in a cell, the co-ordinates of any other point along its path line within the cell, and the time of travel between them, can be computed. Documentation of the theoretical and numerical implementation of MODPATH are given in Pollock (1998), while source code and input documentation are available at the USGS MODPATH webpage. MODPATH in Visual MODFLOW Flex is not currently compatible with MODFLOW-USG or MODFLOW-LGR. 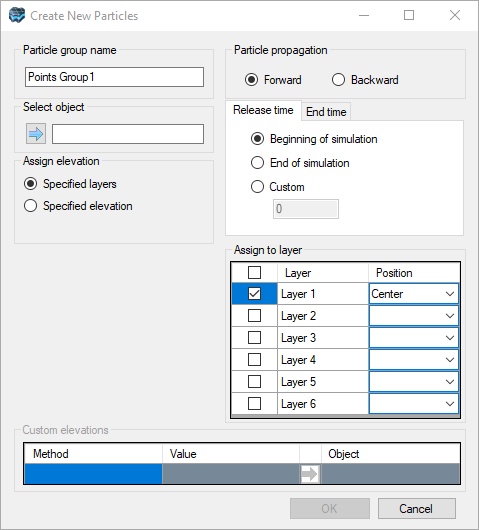 The computer program mod-PATH3DU was developed as part of a collaboration between S.S. Papadopulos & Associates, Inc. (SSPA) and the University of Waterloo (Muffels, et al, 2016) and calculates three-dimensional particle tracking pathlines from steady-state and transient flow simulation output. Similar to MODPATH, mod-PATH3DU uses a semi-analytical particle-tracking scheme based on the linear interpolation of the velocity field within a given grid cell. The major difference is that mod-PATH3DU supports intra-cell velocity field interpolation using the Waterloo method, which is based on a high-order Runge-Kutta scheme and is valid for any prismatic cell geometry. In addition to the flow engines supported above, mod-PATH3DU also supports MODFLOW-USG. A more thorough explanation of the method is documented by Rhamadhan (2016). NOTE: mod-PATH3DU is developed/maintained by SSPA (a third party) and is not directly included in Visual MODFLOW Flex. It is available for free via registered download at the SSPA website for mod-PATH3DU. Visual MODFLOW Flex currently only supports mod-PATH3DU versions 2.12 and later. Please Note: MOD-PATH3DU version 2.12 currently only supports fully structured grids or unstructured grids with continuous layers. In other words, the lateral discretization must be the same for all layers in the model. 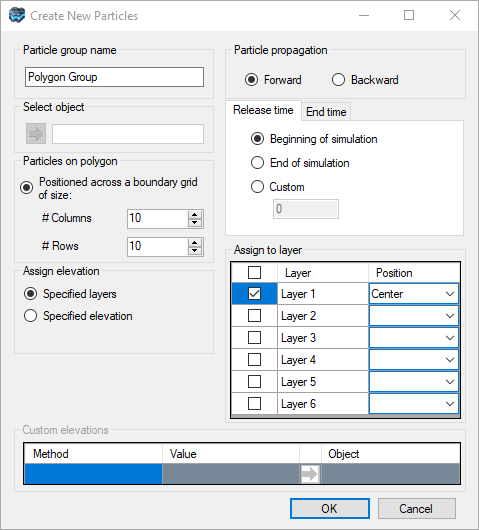 The Visual MODFLOW Flex grid generator for Q-Grids does not generate such grids where pinchouts are specified, therefore the use of V-Grids is recommended for conceptual models with pinchouts when using MODFLOW-USG. Version 3, likely to be released in spring 2019, will support discontinuous layers in unstructured grids. 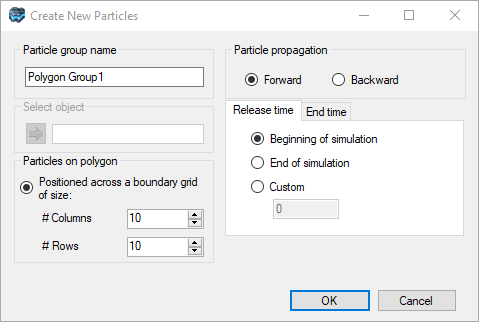 At the Define Particles step, you can create, modify and view groups of Forward and Backward Particles, including those that have been imported from a Visual MODFLOW Classic model. •First, select the model layer, row, or column where you want the circle to be assigned. •Select the option [Assign > Circle] from the toolbox. •Using the mouse, left-click on the Layer, Row, or Column view at the desired locations for the particles. 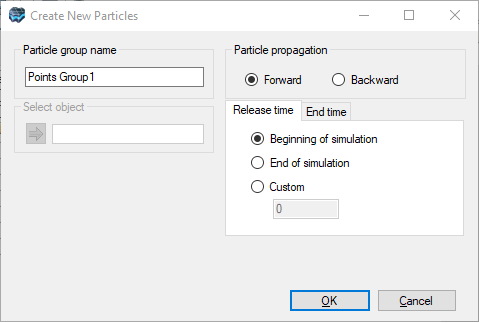 oCustom: particles are released at the specified (relative) time based on the time units specified in the project settings. 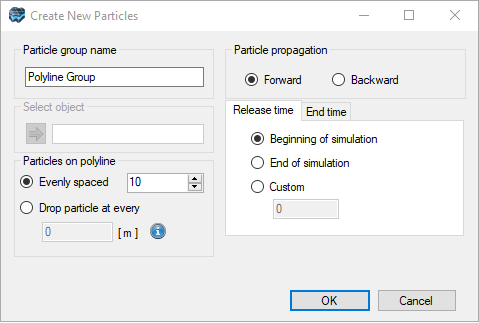 oCustom: remaining particles in the group are terminated at the specified (relative) time based on the time units specified in the project settings. •Assign to Layer: if the Assign Elevation option is specified layers, this option provides you with a table with entries for each layer where you can assign the particles to the specified layer(s) and whether the particles will be assigned to the layer Top, Center (middle), or Bottom. •Click OK when you have finished. A circle of backward tracking particles is typically assigned around a pumping well in order to determine the capture zone for that well. •First, select the model layer where you want the circle to be assigned. •Define the Particle Propagation Direction, Assign elevation options, and Release time, as explained above. 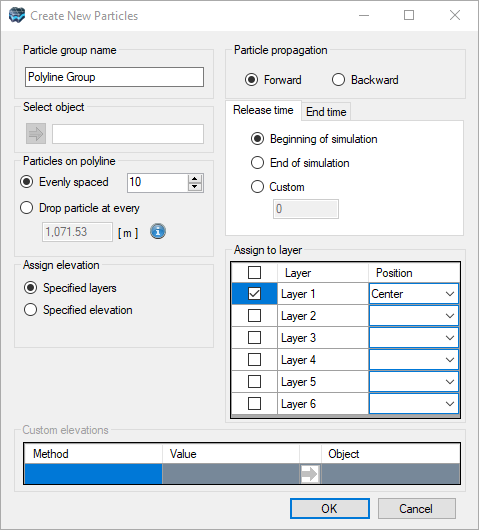 •First, select the model layer, row, or column where you want the polyline to be assigned. •Select the option [Assign > Polyline...] from the toolbox. •Using the mouse, left-click on the Layer, Row, or Column views to draw the polyline in the desired view. 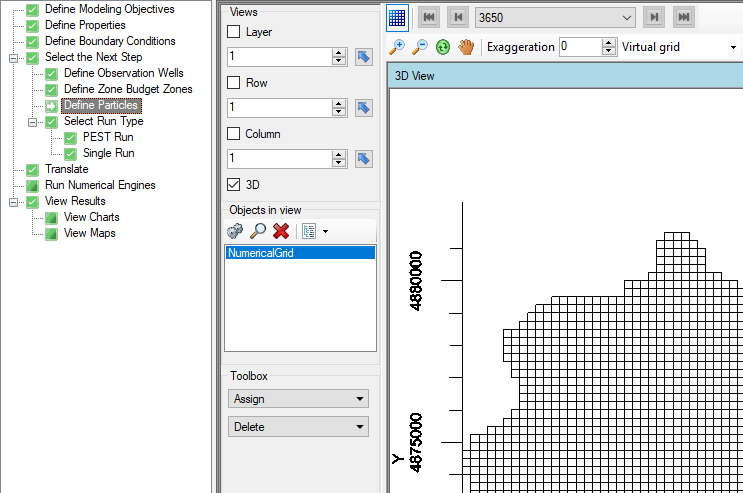 •First, select the model layer, row, or column where you want the polygon to be assigned. •Using the mouse, left-click on the Layer, Row, or Column views to draw the polygon in the desired view. •From the Data Explorer, select a Points, Polyline, or Polygon data object that represents the features/locations where particles are desired. If you do not have a file containing these features, then you can create and digitize new points, polylines, or polygons using the drawing tools. Refer to Creating New Data Objects for more details. •Click the button to insert the data object into the input field. •The window will update and provide the same options as assigning by points..., polyline..., or polygon... as described above based on the input type. •[Delete >] By Drawing a Box, allows you to delete just a set of particles. Note that this option will only delete the particle type that is active at that time (either Forward or Backward). Before proceeding with the Delete, be sure you have the desired particle type layer as active (and visible in the 2D Viewer). To do this, click on , and move the desired layer type (Forward or Backward particles) to the top of the layer list. Once complete, select Delete > Draw in a Box, and left click with your mouse to anchor the corner of a box around the selected particles you wish to delete, then draw the outline of the box, and release the mouse button to complete the box. The particles that lie within that box will be deleted, though only for the current model layer.